Hey Everyone! It's time for another Alphabet Nail Art Challenge! I for Ice Cream. 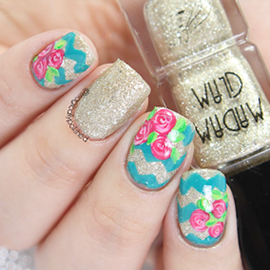 I'm obsessed with this mani. You guy's have no idea how long I've been wanting to do this. I think the key as a nail artist/blogger is to always draw your ideas. It's important especially if your like me, who wakes up from sleep, with a nail art idea. This was definitely one of them. For the base, I applied two coats of Floss Gloss Waterpool. This color was the best I've found that matched with the ice cream charm. Once the base is completely died, on my ring finger I applied top coat and then added the charm. You can use some glue, so the charm can be more secured & won't fall off the nail. I then added some little dots, well because, I thought it will look cute that way. I used Essie's Good as Gold & Blanc. 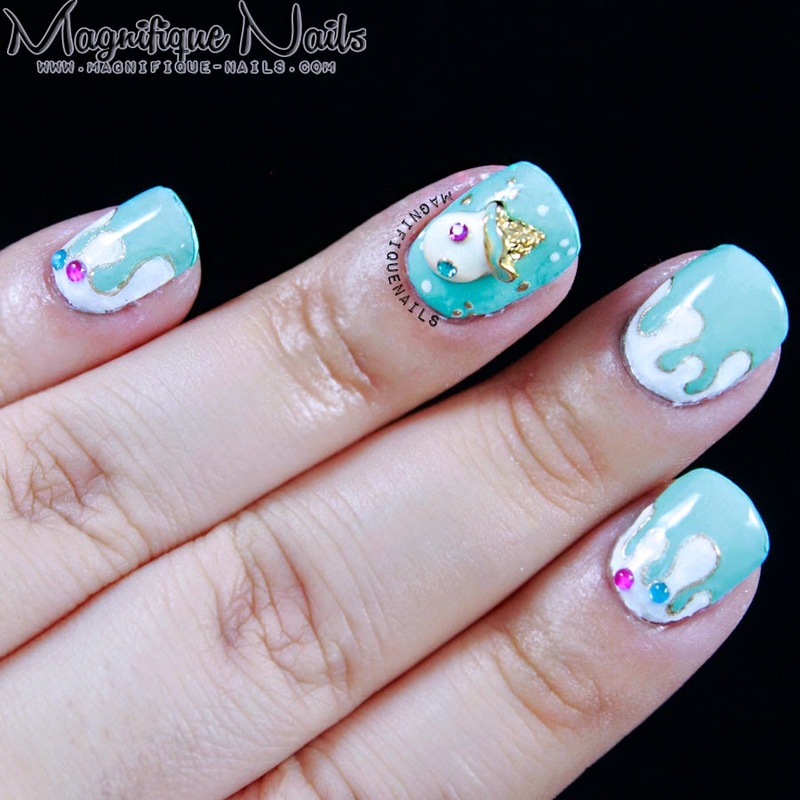 For this mani, I wanted the rest of the nails to have a dripping affect, like melting ice cream. I love to do drip mani's. They were the first attempt of nail art I did, before I first started my nail art journey. I'm really impressed how I improved. One of my favorite brushes I use for drips is Da Vinci 1. This brand was one of my favorites when I was taking art course in college, expect they weren't nail art brushes ;). I used Essie's Blanc for the drips & Good as Gold for the outline. Keeping with the theme of 3D charm, I added matching colored studs, so it looked like sprinkles. Lastly, seal the design with one coat thin Out the Door Top Coat.